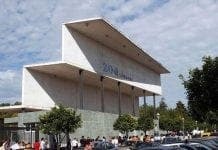 IRISH clothes chain Primark is set to open a branch in Cordoba on March 21, creating a hundred jobs for the town. Combined with the opening of two more stores in Madrid and Alicante, the new Primark will bring its Spanish total to 25 and create five hundred jobs for Spain, something the company’s Spanish manager is ‘particularly proud’ of. Next articleGo back to your tractors!